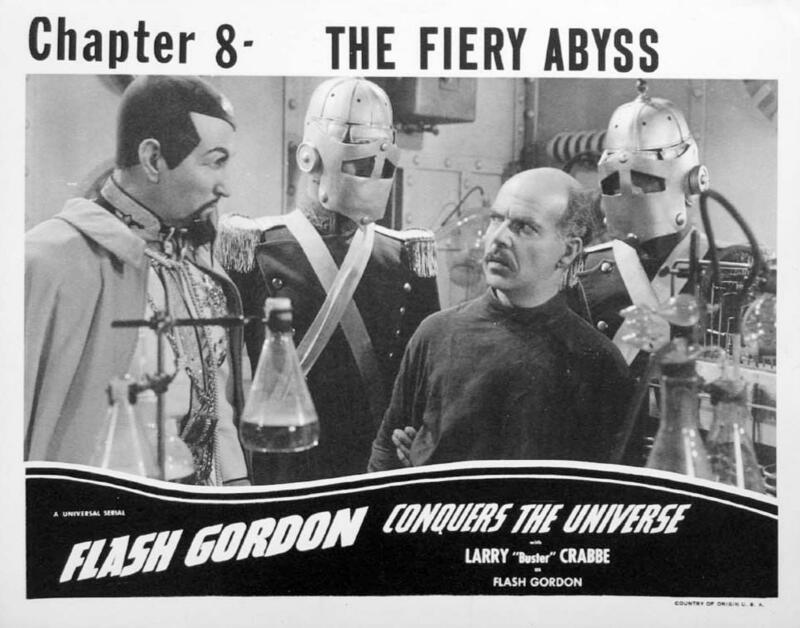 Chapter 8, "The Fiery Abyss", of Flash Gordon Conquers the Universe (1940), with Charles B. Middleton as Ming the Merciless and Byron Foulger. You are by definition, the very archetype of a corrupt human being. -- Facebook-blocked "environmental activist". OK, this is what my week has been like. I got an email message from someone who had found one of our news stories on the GenX situation in the Cape Fear. Describing himself as an "environmental activist", he had tried to repost it on Facebook but Facebook would not let him do so, and he wondered if we could fix that. I told him that we were all scratching our heads about this, though now I think I have a better idea. Then I started getting more, and lengthier, communications from him. I wrote to him, as I have done with many groups, “I do not participate in decisions about what goes into our news coverage. Please remove me from your mailing list. Thank you.” Well, as the crummy paid ads on the web say, you won’t believe what happened next. I’ll be using this response in my writing piece. Those that have to power to act and don't are just as responsible. You are by definition, the very archetype of a corrupt human being, and based on our previous numbers, I own your public reputation. I grow tired of this game. Much like every person who has treated me like this has learned, over the last five years, as you sit there think you are talking to nobody, that you are speaking to one of the most powerful activists in the country, so please watch how you speak to me, sir. Please let your editors know that the official response to my publication and statements, that will be featured in my coming film and writing pieces about corrupt media in Wilmington is, "Take me of[f] your list." Much like every other town we have worked in, none of you in the media will learn who I really am until I have already beaten you with the single largest media campaign your city has ever seen. At this point I have no response from elected officials. I have "take me off your list" from your outlet. I have "Sorry, we only cover locals" from another, and "If you publish anything about us, we'll sue" as I can literally sit here and provide third party source information that all of you have lied to the public, or at least unwittingly misled them, because one should never blame conspiracy where they can attribute to ignorance. I grow tired of this game. . . you are speaking to one of the most powerful activists in the country. Shades of Ming the Merciless. I’m going to see if Celia Rivenbark can fix me up a T-shirt with “Very Archetype of a Corrupt Human Being” on it. My name is Eric, and I’m calling from Wilmington, North Carolina, in regard to The State of Things. What an impressive interview that was with the woman who went to Duke University and started her own food business. She talked about the need to be humble, she talked about how she grew up in poverty, she spent time living out of her car. It just lets you know that even if you’re living in a state of poverty, as long as you have your health both mentally and physically, you can still do some wonderful things in this world. I was so touched by that interview, I really really was. And the interviewer — he always does a nice job. I enjoy listening to The State of Things. I’m recording this Feedback on Thursday, before last night’s WHQR Annual Meeting. I’m going to speculate that everyone there appreciated the Czechoslovak Marching Band and the special appearance by George Clooney and Michelle Dockery, as well as the new car that was given to all attendees. Well, we can hope. Or perhaps it was more like a heartfelt thank-you from me to our wonderful listeners who have made WHQR what it is today. Thank you to all who attended, in person or in spirit. I’m sure we’ll be posting photos on whqr.org. 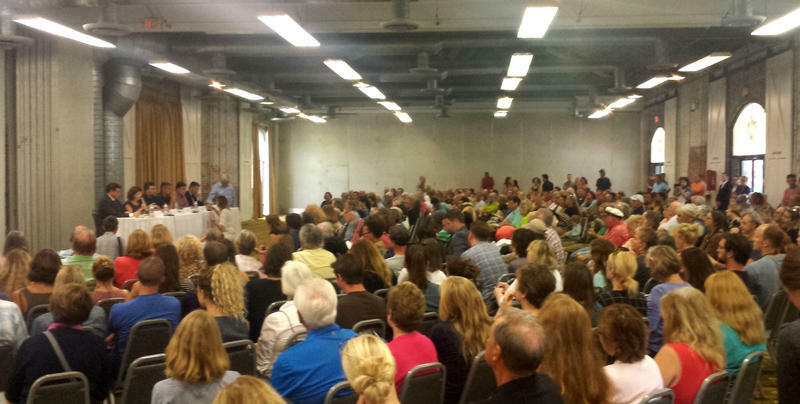 More than 300 people turned out for a community forum on GenX and drinking water at the Coastline Convention Center on Wednesday. The meeting was organized by Cape Fear River Watch, and featured six panelists on the topic. The Wilmington City Council approved the 2017-18 budget Tuesday. The $217 million fiscal year budget includes a small property tax decrease. Before tackling the budget, the council heard from several speakers on the topic of GenX, which is why close to 200 people crowded into council chambers. 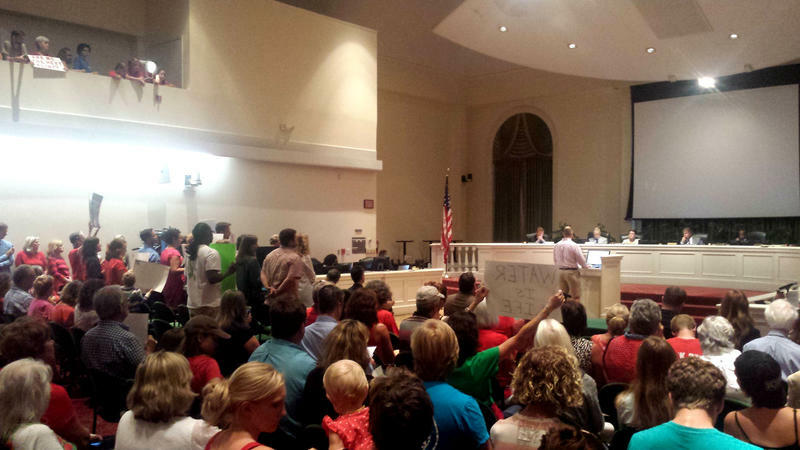 New Hanover County Commissioners adopted a resolution Monday calling on Chemours to stop production of GenX. Brunswick County Commissioners adopted a resolution the same day -- asking Chemours to stop the discharge of the GenX chemical into the Cape Fear River. That’s largely because there is still a lot about GenX that we don’t know. It’s all about chemistry. Which means for many of us, it can be somewhat difficult to grasp. 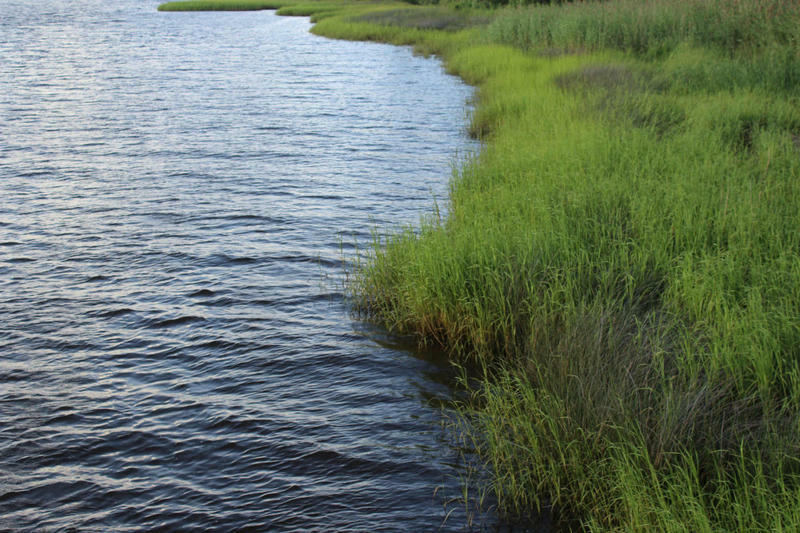 On Monday the state began taking water samples along the Cape Fear River, to determine the current levels of GenX in the water. 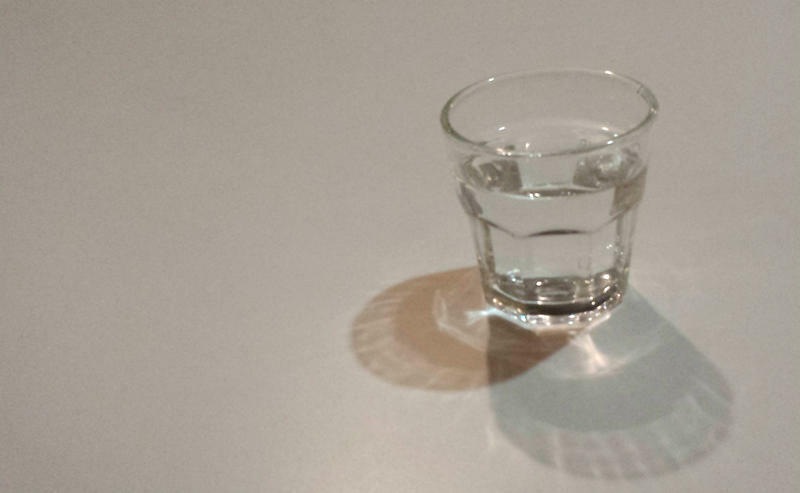 The North Carolina Department of Environmental Quality will sample water from 12 locations. A lab in Colorado will then do the analysis. Once those levels are determined, scientists hope to determine what, if any, health effects GenX has had or could have on the citizens here.